Simple and effective, the patented design of MedCline gives you clinically proven relief from nighttime acid reflux, all in the comfort of your own bed. MedCline is placed on top of your mattress. 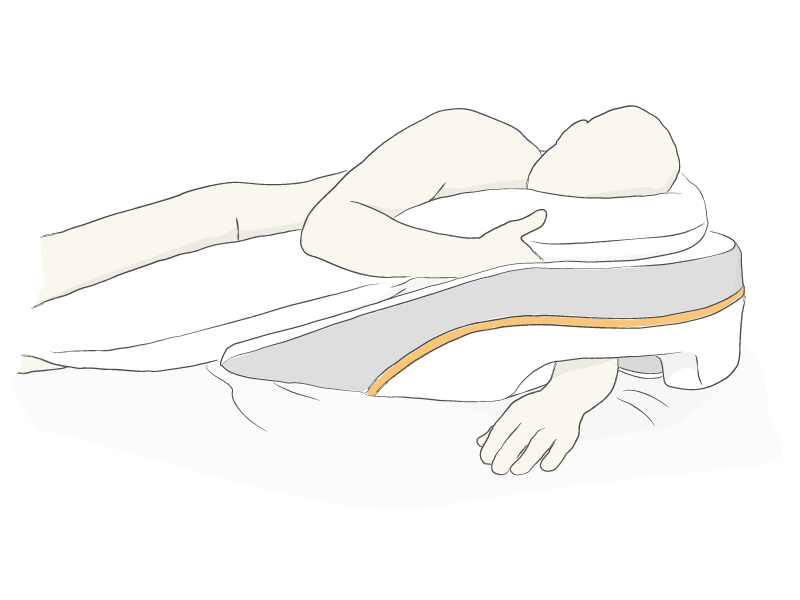 By providing individualized relief, your sleep mate isn’t disturbed and you don’t have to modify your bed or bed frame. Takes up just ½ the width of a queen-sized bed. Can be used all night or just as long as needed each night. 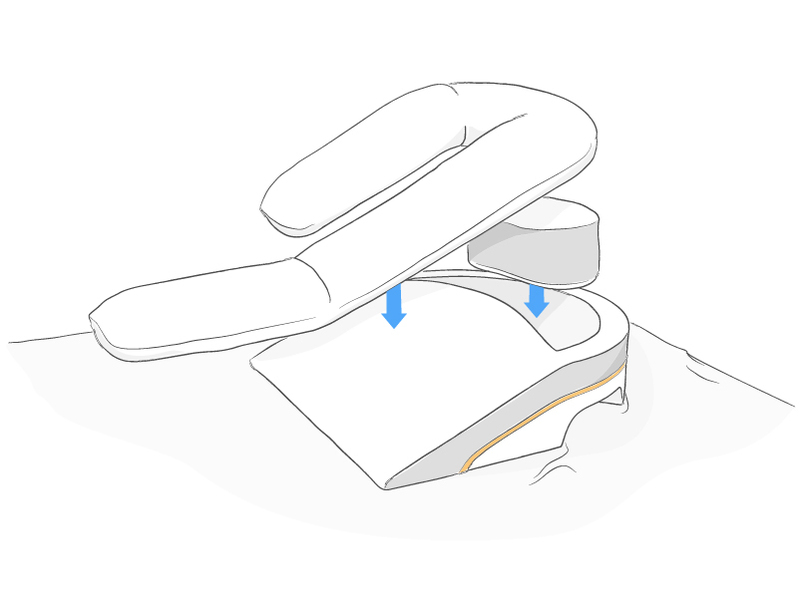 MedCline creates the ideal inclined + side sleeping position for you. 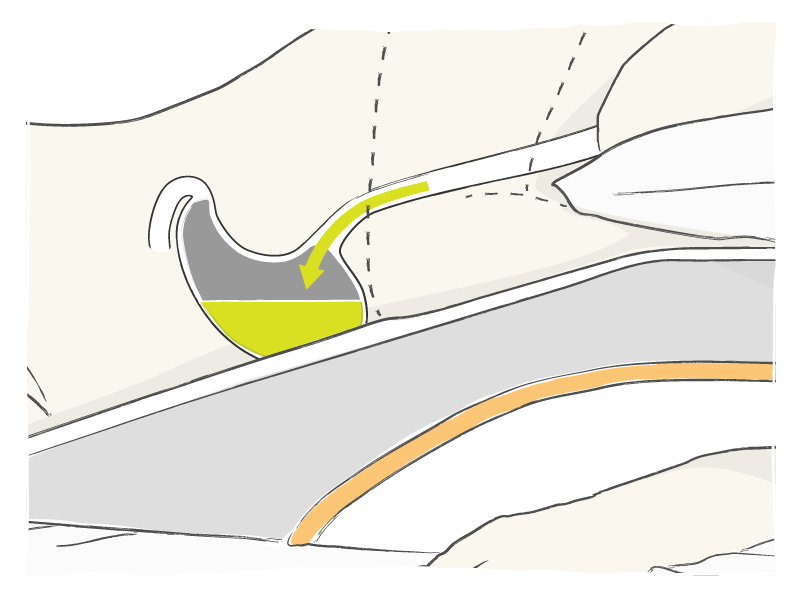 To use, you simply place your downside arm into the upper arm pocket, which takes pressure off your downside arm and shoulder, as well as keeps you from sliding down. 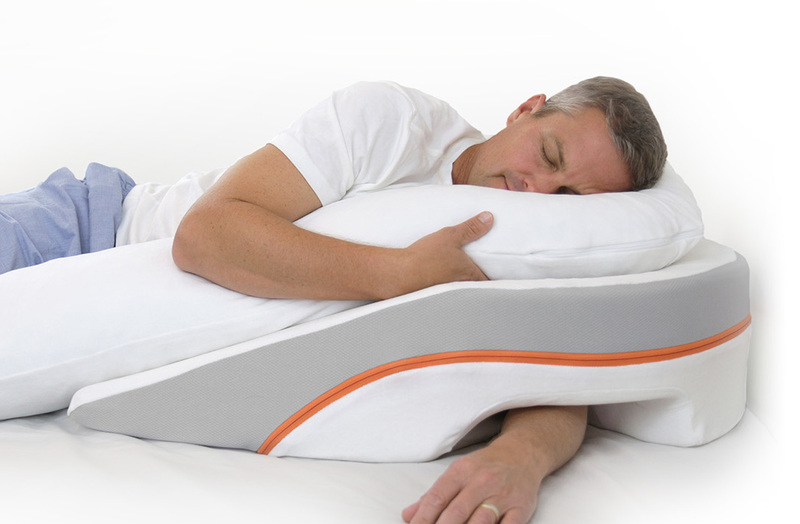 MedCline can be used with your own head pillow or with the MedCline Therapeutic Body Pillow. Get comfortable. Some customers find instant comfort with MedCline, where others take a little bit more time to adjust to the new sleep position. With our 100 night guarantee, you have ample time to find what’s most comfortable for you without the ticking clock of a short return policy. MedCline Sleep Specialists are available to help you with any questions. Not only will you be able to sleep reflux-free, you will also rest assured knowing that MedCline is helping protect you from harmful damage to your esophagus and beyond. Sleep better, feel better with MedCline. If you are like so many of our customers, you have tried everything to get relief from nighttime acid reflux and are still suffering. MedCline is truly different.